If I have estranged relatives in the UK, what do I submit in a tourist visa application? My parents are planning to visit the UK and Europe, and have engaged a tourism company for this. 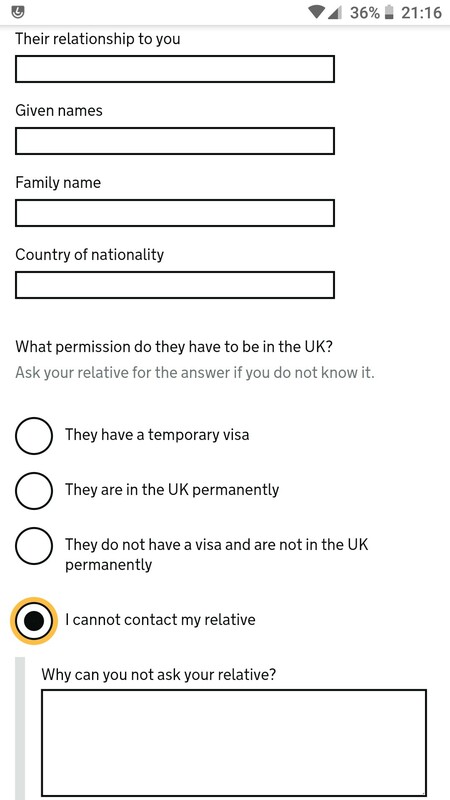 While reviewing the documents they sent us, I noticed that the field asking about friends or relatives in the UK was filled "no". As it happens my parents do have relatives there - an estranged sister and her family. But we haven't managed to contact them and get their details (messages have been ignored). What information should we submit in this case? The travel agent is recommending that we lie and say we don't have relatives. I feel it would be best to say we do, and fill in the details as best we could (we know the city they live in, but no more), and mark the rest as unknown. My parents have no intention of going anywhere near them. Don't lie, regardless of what a travel agent says: it's an immediate family member, not some distant, tangential relation. Include what information they do have (name, city, email etc.). While your parents may not now plan to connect with them while they're in England, they did attempt contact for some reason, and were ignored. UKVI is adept at spotting discrepancies and a potential refusal for this (deception) would be a serious ding on their immigration records. Your instincts are spot on: the tour company has little to lose, your parents have much more at stake. Absolutely mention them. Describe your relationship in one word: "estranged". UKVI will get it. Also, from immigration's perspective, they are mainly looking for people who want to overstay and seek employ or collect social assistance. Their first impression of lying about a sister is "she is sneaking you in to hire you illegally under the table". They don't know you. Of course full examination of the facts and circumstances of your lives would debunk that, but that only works for documents you actually submit, and if you send the wrong stuff it could backfire. If you send documents often faked, then that only further prejudices the matter. You never get a second chance to make a first impression. Coming from India you can expect your application to have careful scrutiny. Not the answer you're looking for? Browse other questions tagged visas uk india or ask your own question. Application for UK Standard visa twice refused, what next? At what point during the UK visa application should I submit bank statement? Is it possible to re enter to UK after get refused for the first time for visa-free passport holder? Received an email saying “A decision has been made on your UK Visa application”. What does it mean?